Do you enjoy looking at art? Are you interested in being able to explore downtown Los Angeles with the rest of the community? Once you have decided where to stay in downtown Los Angeles, don’t miss the Downtown Los Angeles Art Walk! This event takes place on the second Thursday of every month so you can be sure that you’ll find some time to go. Having been run for ten years and drawing nearly 20,000 attendees each month, this is an event you are not going to want to miss. While this event is entirely FREE to attend, some of the events hosted require a reservation. What’s great about the Art Walk is that it goes back to the city’s pedestrian roots. Walk around as you get to explore different venue depicting art from local talent. This event occurs from 12 pm – 10 pm, so you have all day to walk around the streets of LA and take in art. Also, the art walk this month will be focusing on photography – from color to black and white and other styles, get ready for some fantastic photos. Join the community at the Art Walk Lounge on 634 S. Spring St. from 6-10pm. This event will feature artwork from Sia Aryai and Dan Gonzales. As you look at their display, there will also be a live activation session where both artists will continue their collaboration piece. Other places you might want to check out include the Downtown Art Gallery & Mart located at 620 S. Main St. from 6-10pm. Here you can check out various artists and vendors that are showcasing their work. See the “Urban Oasis” exhibit at Carol Cirillo Stanley located on 408 S. Spring St. Here, you will see pieces from both watercolor and photography for a unique experience. 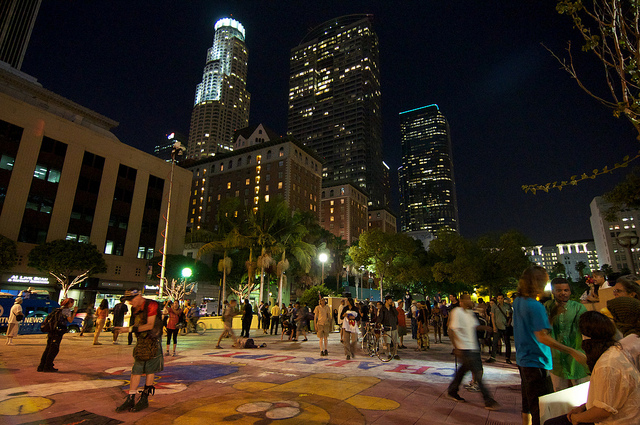 This month, be sure to make some time to attend the Downtown LA Art Walk!